Celebrate the 101th Anniversary of the 82nd “All American” Division at Orlando, FL. 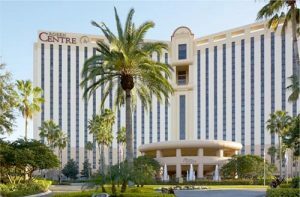 Hotel reservations have been arranged for Association members at The Rosen Centre for ONLY $85 per room night (plus tax), and this is extended on either side of the convention to enable you to make this not only a great convention but also a fantastic vacation opportunity. Space is limited, so please book early. Registration for the convention is just $110 per attendee. This covers food, snacks, and drinks, in the hospitality room, plus 2 formal dinners, a true bargain. REMEMBER, an adult must be registered for the convention to receive these rates at check out. Come to the 72nd Annual Convention and stay a few extra days to enjoy comradery and family fun in the sun at Theme Parks, Dining, Music, and Shopping or just stay in the pool! Copyright © 2019 Space Coast All Airborne Chapter.